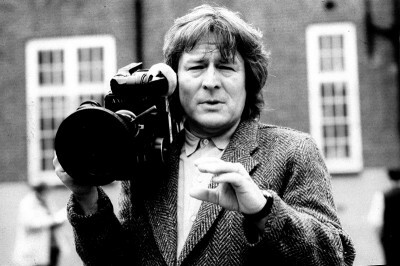 In 1985 I was asked by Thames TV to do a documentary to celebrate ‘British Film Year’. The attraction for me was that it was produced by Kevin Brownlow and David Gill — two documentarians and film historians I greatly admired. Kevin’s painstaking restoration of Abel Gance’s masterpiece, Napoleon and the performances, with a live orchestra playing to a triptych screen with multiple projectors, had been a great influence on Pink Floyd The Wall. 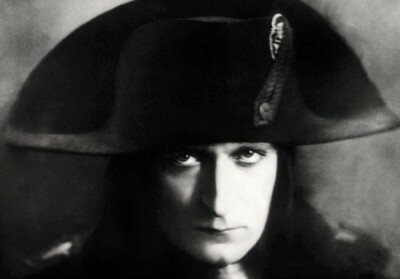 Albert Dieudonné in Abel Gance’s masterpiece, ‘Napoleon’, painstakingly restored by Kevin Brownlow. The documentary was originally meant to be part of a series called PERSONAL VIEWS: the films giving free rein to the views of David Lean, Richard Attenborough, Lindsay Anderson and Roland Joffé. My film was called, A Turnip Head’s Guide to the British Cinema. It was a whimsical title based on my cartoons — as was most of the script — urged on as I was, by David and Kevin, to be as impolite and anarchic as possible — particularly when tackling the pomposity, stupidity, pretension and avarice of the film industry — especially the people who comment on and critique it. A Turnip Head’s Guide was the first up in the series and so I had the full attention, enthusiasm and resources of the Thames TV production folk, researchers and film crew — and probably spent a good chunk of the series money. As we proceeded, I upset some of the traditional documentary makers at Thames, from the amount of footage I shot in interviews, to my shameless, un-Grierson, manipulation of the materials. Alan Parker, William Tyndale School playground, Islington. Along the way, Lean and Joffé dropped out and Anderson and Attenborough both opted for a simple format. Lindsay with his wonderfully eloquent, curled lipped , didactic stance (basically his usual mantra on ‘free cinema’: that he, Reisz, Richardson and others were wonderfully clever buggers and all of us who followed were crap). Dickie took a diametrically opposite approach, in that his world was a lovely, generous place and we should all thank God we made movies instead of cleaning urinals.) Both of their films were serious and simply produced — probably to counter my facetious, satirical approach — and probably because I’d spent all the money. One of the pleasures of retracing my own film influences was re-visiting the art deco ‘picture palace’, the Carlton Cinema, Essex Road and my primary school, just around the corner. It was here that I recreated the scene where, hot foot from the cinema, having seen Jack Palance in Sign of the Pagan, I organized the playground, dividing everyone in to Romans and Huns as we re-enacted the battle at the gates of Rome. All of which led to serious bloodshed and a serious reprimand from the headmaster. The documentary, as was probably intended, upset an awful lot of people including the Director of the BFI, Tony Smith and various film critics, like Alexander Walker and Barry Norman. As I remember, the supercilious Walker was appalled at my mischievous manipulation and editing of his words — juxtaposing them with Ken Russell’s venomous barbs. Anthony Smith demanded the ‘right of reply’ after being so maligned, but if he did so, no one can remember. The usually affable Norman was most vexed, claiming that I had deliberately photographed him to make him look pouchy, blotchy and ugly. Despite all this, the film went on to win the Press Guild award for best documentary.